Tracking downtime is important to you and your facilities productivity depends on equipment performance. Our software can help you understand the causes and impact of equipment downtime and the true cost of that downtime. Don't hassle with expensive hardware connections. With a few clicks of a mouse downtime can be collected. We offer a way to quantify equipment downtime with our downtime tracking system and provide a means to track downtime from anywhere with a PC and an internet connection. If you are presently using Excel to collect, compile and create charts here is your solution to capture and review data from anywhere in the world. Productivity depends on your equipment performance. Your need to understand the causes and impact of equipment downtime. Know the true cost of downtime. Customize log in page with your company name and logo. Customize report pages with your company name and logo. Improving productivity is a critical component of any organization's strategy. The ability to supply more products or services without increasing your fixed costs (Lean Manufacturing) is the only way to remain competitive. DowntimeDB creates standard reports and charts for daily, weekly, monthly and yearly time periods. 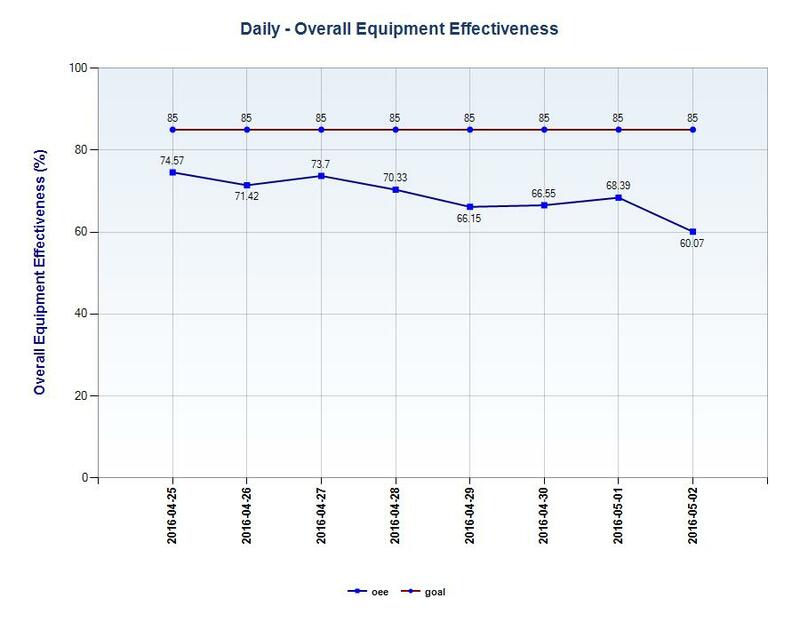 Along with tracking your downtime information DowntimeDB includes tracking work order information thus providing Overall Equipment Effectiveness (OEE) charts and reports. Sign up now for a 6 month trial to monitor up to 100 machines. Start Now! Create your free account today to start your downtime tracking for your facility. Reduce your company's expenses with less downtime by identifying problem areas quickly and efficiently. Software developed using the newest web technology available. Chart reports that do not depend on Adobe Flash or Java. Create PDF reports and export data to Excel®. A better user interface to use from anywhere in your facility. 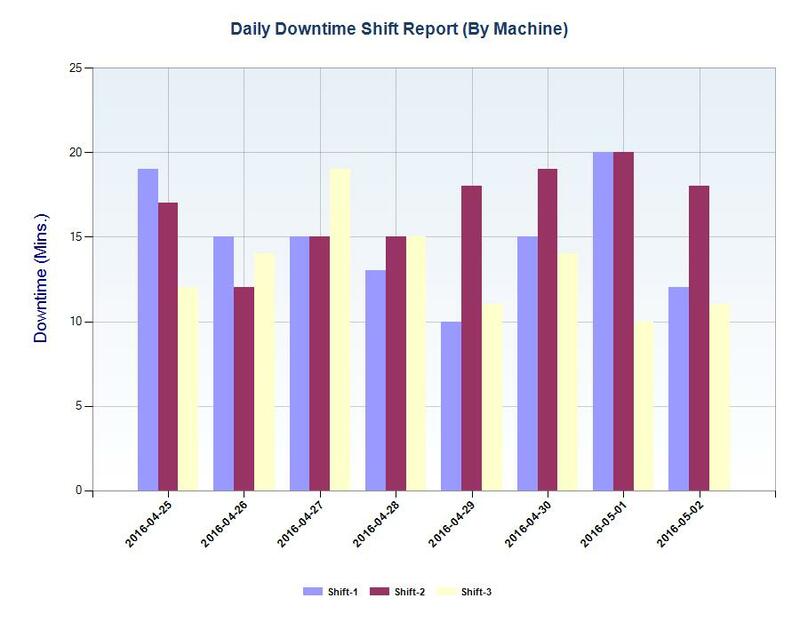 DowntimeDB offers an efficient downtime tracking system. Easy access from the Internet. Automatic software updates. No need to hire consultants or costly programmers. Ability to request customized reports to fit your needs. Easy start: Free downtime tracking for 100 machines. DowntimeDB tracks downtime and gives the opportunity to take action to reduce it. The reductions in downtime combined with the time saved from automatically generating reports will pay for the investment in the software. Estimate the cost of your downtime with our Downtime Cost Calculator.